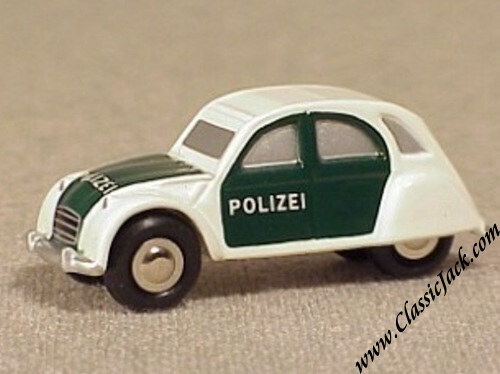 Schuco Piccolo Citroen 2CV, Polizei. Issued in December 2001, this is an elaboration of the normal Citroen 2CV and comes in the livery of a German Police car. 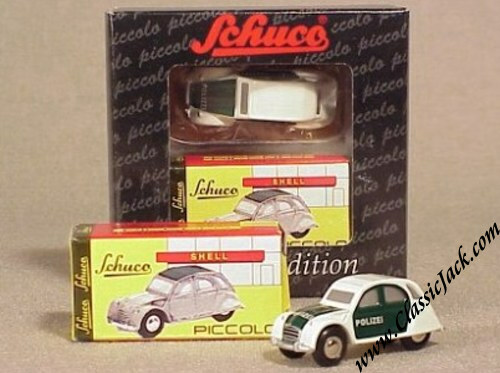 Limited edition of 2,000 pcs.